If only you had a time machine, I bet you would travel back in time when your child is so fragile and his smiles seem to mean the world to you. Yes, when your child reaches the age of two and officially becomes a toddler, you would definitely want to rewind and wish that he would forever be a baby. Having a toddler at home simply means parenting becomes more challenging– tough enough to make you close to giving in. What you must tell yourself in times like this is that, giving in shouldn’t be a choice but understanding is a must. How to discipline a toddler could be very tough. Ear-tearing screams from time to time could make you ill-tempered for sure. Blaming your toddler’s temper tantrum won’t save your day; dealing with it will. To better adapt to your growing child’s changes, let us first discuss some important things you need to understand. 1. Why do toddlers behave like that? Well, it is not unusual for children ages 2-4 to be active. Throwing tantrums are part of their roller coaster ride of emotions so just ride with it! When they feel, they feel extremely. They are mostly controlled by their emotions as they still don’t have the logic to direct their behavior. 2. What is temper tantrum? It is basically an outbreak of your toddler’s emotions. It makes him behave annoyingly– shouting around, crying too hard, screaming and the like. In a more practical sense, we all experience this no matter what age we have. 3. What are the things that affect a toddler’s behavior? A child’s environment, including the people around him, significantly affects his behavior. The family’s lifestyle becomes his standard and when he doesn’t get what he wants, he becomes upset easily. The parent’s way of disciplining their children is also an important factor. The way you build emotional and mental connection with your child either helps him or makes his behavior worse. 4. When should you seek for professional help? When you think and feel that your child is hyper active, throwing a severe tantrum and seems to not listen any longer, you could ask for a professional advice from your GP or health advisor. After rearranging your thoughts, you may now set guidelines on how to discipline your toddler. A well raised child has parents that are good role model to him. 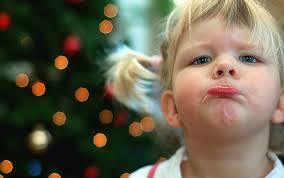 A toddler mimics what others do and what he sees repetitively retains in him and he will soon try to imitate those. It is every parent’s natural requirement to possess both of these. Consistency matters in parenting for a child is easy to distract and mislead. Therefore, having a stable thing to believe into can have good affect in disciplining a toddler. Patience should always be lived out as well. You must have a long thread of patience in order for you to grow a well-disciplined child. If you keep on seeing punishment as a form of discipline or vice versa, there is no big chance that you could help your growing child with the challenge he’s into. Both you and your child could work on this stage together as long as you impose the right form of discipline for him. The difficulty here is that most parents punish their children in a way that their children get scared of them. In worst cases, some parents lead to physically abusing their child. When does hurting mean affection? In a physical manner, never it does. However, it is your right as a parent to choose the kind of discipline you want for your child. But isn’t it more rewarding when you raise your child positively? Bear in mind that you don’t need to make your child scared of you (Or else you want him to be a robot! ).What you need to earn is his respect to you and your rules and his acknowledgement of the consequences of his actions. Remember that one who gave up? Absolutely not and no one will ever do. So does in parenting. Everything you put forth will surely not be wasted as your child absorbs all those. Eventually, your biggest reward is a well-behaved child and you will thank yourself for not giving in.